Hi Ali, I would like to speak with you briefly to see if you're a good fit to coach me. Please contact me at your earliest convenience. Hi Rajiv, I would like to speak with you briefly to see if you're a good fit to coach me. Please contact me at your earliest convenience. Hi Balaji, I would like to speak with you briefly to see if you're a good fit to coach me. Please contact me at your earliest convenience. Hi Jamari, I would like to speak with you briefly to see if you're a good fit to coach me. Please contact me at your earliest convenience. Hi Vikki, I would like to speak with you briefly to see if you're a good fit to coach me. Please contact me at your earliest convenience. Hi VICTORIA , I would like to speak with you briefly to see if you're a good fit to coach me. Please contact me at your earliest convenience. Hi Thawanrat, I would like to speak with you briefly to see if you're a good fit to coach me. Please contact me at your earliest convenience. Hi Truly, I would like to speak with you briefly to see if you're a good fit to coach me. Please contact me at your earliest convenience.  Hi Gaurav, I would like to speak with you briefly to see if you're a good fit to coach me. Please contact me at your earliest convenience. Hi Aileen, I would like to speak with you briefly to see if you're a good fit to coach me. Please contact me at your earliest convenience. Hi Alfreda, I would like to speak with you briefly to see if you're a good fit to coach me. Please contact me at your earliest convenience. Hi Megan, I would like to speak with you briefly to see if you're a good fit to coach me. Please contact me at your earliest convenience. Hi Brooke, I would like to speak with you briefly to see if you're a good fit to coach me. Please contact me at your earliest convenience.